Inspired by colonial architecture, the hotel has 242 rooms and is located amidst recreational centers in Parel. Capturing the essence of the three clover shamrock, Dublin serves gourmet snacks, fine malts and cigars. Enjoy a sumptuous fare of kebabs at K&K. 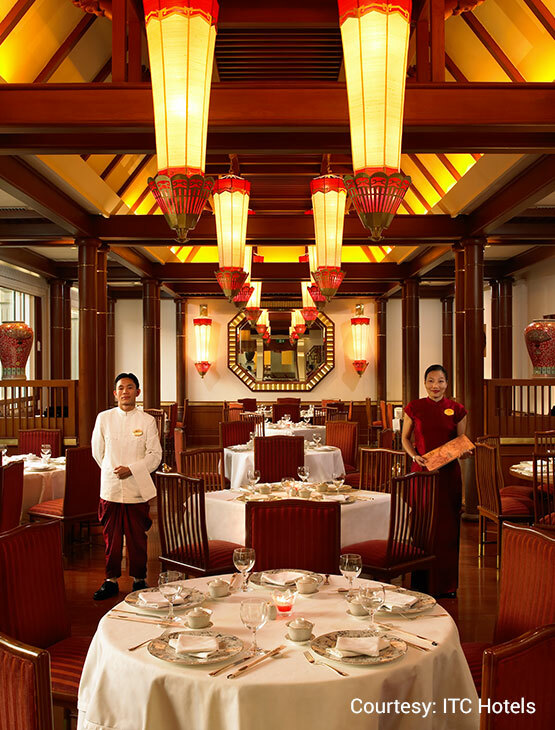 At Shanghai Club, transport to the orient through a delicate balance of Yin and yang ingredients. Hornbys Pavilion offers an experience of international fare. Serving martinis and coffees, Frederick’s Lounge is ideal for all evenings. Club ITC Culinaire has been especially designed to cater to your fine culinary palate and provide experiences that compliment your distinguished taste and lifestyle. 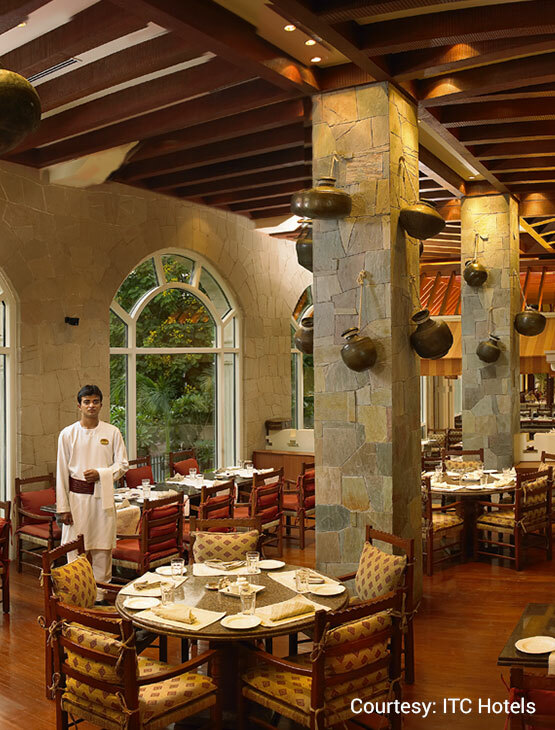 The membership’s benefits extend across at some of India’s most iconic restaurant and cuisine brands such as Bukhara, Peshawri, Dum Pukht and more. 25% Green Points on your dining spends at ITC Hotels and WelcomHotels. Additional 1000 points on cumulative dining spends of Rs. 25, 000. 20% discount on food and beverage at WelcomHeritage hotels and Fortune hotels. 50% bonus points during your birthday week and your Spouse’s birthday week on your dining spends (37.5% earnings) or stay (7.5% earnings) at ITC Hotels. Gourmet Fridays – Earn 50% bonus points on dining spends at select restaurants every Friday. High-Spirited Wednesdays – Enjoy 2 at the cost of 1 at select bars between 6 p.m. and 8 p.m. every Wednesday. Member Exclusive Rates on accommodation: 5% Green Points on your spends on accommodation at ITC Hotels, WelcomHotels, Fortune Hotels and at Wills Lifestyle stores. Milestone Rewards: On every Rs. 25,000 of cumulative dining spends, you receive 1,000 points which can be used at participating restaurants, valid on total accumulated food and beverage spends of up to Rs. 1,00,000 in the membership year. 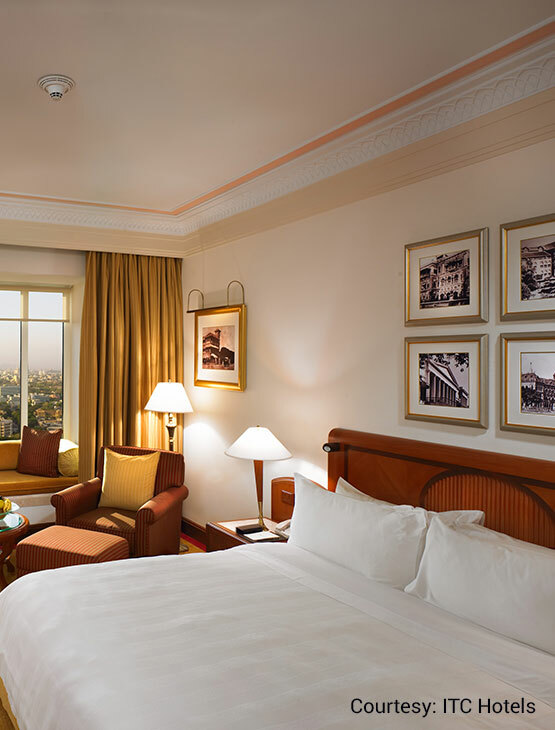 Redeem points for a room night at select ITC hotels. Redeem points at iconic restaurants of the ITC’s hotel group and Wills Lifestyle stores at 1 Green Point = Re 1. Points do not expire for active members. In case of non – renewal of membership, accrued points remain valid for a minimum of 18 months. One (1) certificate entitling the member to a 1-night/2-days stay including buffet breakfast in a standard room for two adults and up to two children below 12 years. Not valid at ITC Grand Bharat. Two (2) certificates entitling the member to a one-time room upgrade to the next category, including suites for a maximum of 3 nights. Two (2) certificates entitling the member to 20% savings on purchase of Welcombreak packages. 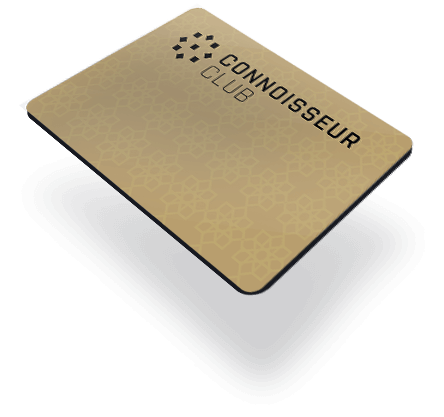 One (1) certificates entitling the member to 50% savings on the food & beverage bill for a maximum of 4 guests. Two (2) certificates entitling the member to 25% savings on buffet lunch/dinner for a maximum of 4 guests. 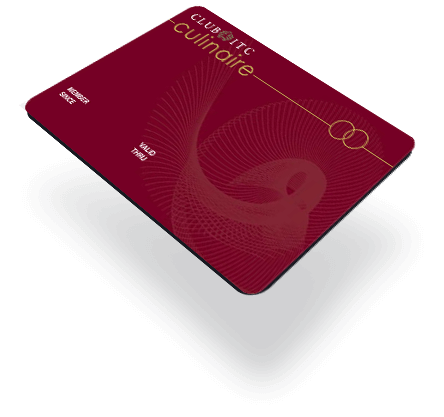 One (1) certificate entitling the member to 30% savings on purchase at the gourmet shop. One (1) certificate entitling the member to a 1 Kg cake while dining. One (1) certificate entitling the member to redemption of products purchased at a participating Wills Lifestyle store up to a value of Rs. 1,000. Membership to the Programme is open to all individuals who are aged 18 years and above. The Programme is open to resident Indian nationals or a foreigner/non-resident Indian holding a valid work permit and residing in India. The duration of the membership shall be for a period of 12 calendar months from the date of issuance of the membership card. The date of expiry of both memberships (Primary & Spouse) shall be the same, irrespective of the date of enrollment of the Spouse member. 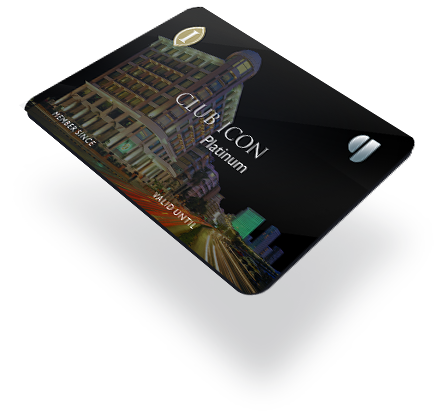 In order to avail Programme benefits the Member must present the Club ITC Culinaire Card. Members of the Programme will earn Green Points and / or will be entitled to savings and other benefits while incurring expenses on Eligible Spends at all Participating Hotels and at Wills Lifestyle stores as per the terms and conditions of the Programme. Points will be awarded on all Eligible Spends at Participating Hotels/Restaurants and Wills Lifestyle stores only from the date of Member’s enrolment into the Programme. However, any Eligible Spend made at a Wills Lifestyle store during an end of season sale or any sale promotion(s) shall not qualify as an Eligible Spend. GreenPoints issued have no monetary value and cannot be bartered or sold by Members for cash at any point of time. These points may only be redeemed in accordance with the Terms & Conditions of the Programme. Members have no ownership interest in accrued Green Points and accrued Green Points are not the property of the Members. Green Points may be redeemed instantly at (i) ITC Luxury Collection Hotels, select Sheraton Hotels, select WelcomHotels and select Fortune Hotels to settle bills (in part or full) against the point balance on the card or for issuance of ITC Hotels Gift Certificates usable for purchase of stay/accommodation, food and beverage, spas, business centre facilities, banquets, Kitchens of India products and salons, where available; (ii) Instant settlement of bills (in part or full) at participating Wills Lifestyle stores or issuance of Wills Lifestyle Gift Certificates usable at Wills Lifestyle stores for purchase of: • Wills Lifestyle apparel and accessories • Essenza Di Wills personal care products • Fiama Di Wills personal care products; (iii) Issuance of John Players Gift Certificates usable at John Players Stores for purchase of John Players apparel and accessories; (iv) Conversion of Green Points to Partner airline miles as mentioned in www.clubitc.in/culinaire (v) Issuance of Gift Certificates for Partner products (TagHeuer, Bose, etc.). For details, contact Customer Care or log on to the Programme website (vi) Issuance of Gift Certificates to the applicable extent for Travel House services. (vii) Donations to ITC’s Mission Sunehra Kal with a minimum donation of 500 Green Points (thereafter in multiples of 500). All interpretations of the Terms and Conditions and Programme rules shall be at the sole discretion of ITC. The Programme has no predetermined termination date and may continue until such time as ITC decides to terminate the Programme, at any time, with or without notice to the Members. Accumulation of points will cease immediately on termination of the Programme. ITC reserves the right to add, modify, delete or otherwise change any of the rules, conditions, privileges, benefits, rewards or reward levels pertaining to the Programme at its sole discretion, with or without notice, even though changes may affect the value of points already accumulated. Without prejudice to other rights of ITC, the membership of a Member may be terminated by ITC at its sole discretion without assigning any reason, in the event ITC is of the view that any conduct of a Member is unacceptable or inappropriate. Members are responsible for remaining knowledgeable about the Programme rules and the number of points in their account. ITC will send correspondence to Members to advise them of matters of interest, including point updates. However, ITC will not be liable for any failure to do so and will not be responsible for correspondence lost or delayed in the mail. ITC or its directors, employees, agents, affiliates or contractors shall not be held liable for any direct, indirect, special, consequential, remote or punitive losses, damages, costs and expenses, how so ever suffered or threatening to arise against a Member or prospective Member, with or without any act, breach or omission by ITC or its directors, employees, agents, affiliates or contractors, or its Partners and their directors, employees, agents, affiliates or contractors. The benefits, privileges, terms and conditions for the Programme specified may change at the discretion of ITC from time to time. All such changes shall be effective from the date of posting at the website www.clubitc.in/culinaire and shall be binding on a Programme Member. Members are requested to update themselves by visiting www.clubitc.in/culinaire on any changes thereto which may not be separately intimated by ITC or brought to the attention of a Member.